Another week, another round of injuries. In other words, your typical week 6. The 2015 NFL season is not quite halfway through, but the injury reports around the league continue to grow by the week. With some big time week 7 matchups on deck, we'll get you up to speed on all the injury news ahead of the action which begins on Thursday night as the Seahawks travel to face the 49ers in an NFC West clash. Players from the Broncos, Bengals, Bears, and Packers will look to heal up on their open dates, but for the rest of the league, it's back to the grind in week 7. - Julio Jones gutted it out in week 6 against the Saints, but it was not enough to help the Falcons avoid their first loss of the season. Julio played through the painful hamstring injury which has bothered him for the last couple of weeks, catching 6 balls for 93 yards. He had to contest his own health and tight coverage from Saints' corner Delvin Breaux, but with an extra couple of days to heal, Julio should be just fine for week 7 matchup against Tennessee. - The Bills got both LeSean McCoy (hamstring) and Sammy Watkins (calf) back in week 6, but Watkins may be back on the sidelines after injuring his ankle while hauling in a touchdown reception. Watkins was seen after the game on crutches, and could be looking at a multi-week absence. Meanwhile, fellow wideout Percy Harvin is facing another spell on the sidelines due to a hip injury that kept him out of action week 6. The team hopes QB Tyrod Taylor (MCL sprain) can return in week 7 after missing their week 6 game with the Bengals. - Julian Edelman suffered a nasty-looking finger injury in week 6 against the Colts, but remained in the game. It appeared as though Edelman may have dislocated his pinkie, which led to him dropping a pass. Expect him to play through the injury as the Pats take on the Jets in week 7. 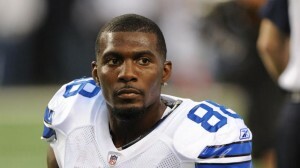 - Cowboys wideout Dez Bryant may have an outside chance to play in week 7. Bryant has been sidelined since undergoing foot surgery last month following week 1. Bryant participated in on-field rehab last week, so graduating towards limited practices ahead of week 7 would be a major step towards being active. Dallas faces the Giants in a rematch of their week 1 comeback win. Will Dez Bryant return in week 7? - Broncos' wideout Emmanuel Sanders exited Sunday's overtime win over Cleveland with a shoulder injury after landing hard on his arm while making a diving catch late in regulation. Sanders will look to get healthy during the bye, with the Broncos returning to action in week 8 against Green Bay. - Titans' rookie QB Marcus Mariota has been diagnosed with a sprained MCL. The former Oregon star showed his grit, staying in the game after he picked up the injury and went on to play until the score was out of hand. If Mariota can not play in week 7, second-year signal-caller Zach Mettenberger will get the nod. - Despite early optimism regarding his week 6 status, Lions' TE Eric Ebron (knee) went on to miss the game against Chicago. His chances should improve ahead of week 7. Fellow TE Brandon Pettigrew also missed the game, leaving Tim Wright to handle most of the work. - The Packers' receiving corps took another hit on Sunday. Already without Jordy Nelson (knee) and Davante Adams (ankle), Green Bay saw rookie Ty Montgomery go down with a knee injury. Montgomery was carted off and replaced by Jeff Janis. The Pack will hope that Adams can return in week 8 against Denver. He has not played since re-aggravating an ankle injury in week 3. Green Bay will enjoy their bye in week 7. - Jaguars' wideout Allen Robinson suffered a leg contusion in his team's loss to Houston on Sunday, and the second-year man was spotted using a crutch after the game. Rookie RB T.J. Yeldon missed the game with a groin injury, though his chances of playing in week 7 should improve after he expressed optimism regarding his injury late last week. - The Chiefs' offense lost another playmaker on Sunday as Jeremy Maclin suffered a concussion in their week 6 loss to the Vikings. Just one week after losing Jamal Charles for the season, Kansas City will hope its best receiver can clear the league's protocol in time for week 7. - Minnesota wideout Charles Johnson did not play in week 6 due to the rib injury he has been carrying for the last couple of weeks. With another seven days of rest under his belt following the team's bye, Johnson should have a much better chance to play in week 7. He is in danger of losing his starting job to the impressive Stefon Diggs. - Saints' WR Marques Colston missed the team's win over the Falcons on Thursday night with a shoulder injury. With the extra time in between weeks 6 and 7, Colston could have an outside shot of returning to face the Colts in week 7 if he can return to practice and avoid setbacks. Colston may be considered day-to-day. - Both Odell Beckham Jr. and Rueben Randle dealt with hamstring injuries ahead of week 6, but the former LSU receiving tandem played against the Eagles on Monday night. They may be limited in practice this week, but should both be available once again in week 7. Odell Beckham Jr. played through a hamstring injury in week 6. - Michael Vick exited the Steelers' week 6 win multiple times before being replaced by Landry Jones. Vick did enough to help the Steelers win games in Ben Roethlisberger's absence, and the team is hoping to have Big Ben back in time for week 7. Ben practiced lightly last week, so his chances of playing in week 7 are looking better by the day. - Target monster Keenan Allen left the Chargers' week 6 loss at Green Bay with a hip injury. He was injured while making his 14th catch of the game. Already down Stevie Johnson (hamstring), San Diego will be hoping that Allen has avoided a serious injury. - Reggie Bush (calf) missed the 49ers' week 6 win over Baltimore. Bush has been bothered by the injury since week 1, and has appeared in just two games this year. Fortunately, Carlos Hyde (foot) did not suffer any setbacks to his injury, and should be good to go once again in week 7. - The Rams may be without TE Lance Kendricks (thumb surgery) in week 7. He is considered questionable at this time as St. Louis comes off their bye ahead of a week 7 matchup with Cleveland. - Bucs' TE Austin Seferian-Jenkins could return in week 7. The second-year playmaker has been out since suffering a shoulder injury in week 2. He returned to practice last week, so it appears that he has a decent chance to make it back onto the field against the Redskins in week 7. - Speaking of the Redskins, Washington will hope to get DeSean Jackson (hamstring) back for the first time since week 1. D-Jax was making progress, but suffered a setback in practice last week. RB Matt Jones (toe) missed the week 6 loss at the Jets, as did tight end Jordan Reed (concussion). All three players should be considered week-to-week, particularly Reed, who has a history of head injuries.